Is it any surprise that we’re less than 30 days into Spring and already it feels like the Sahara desert outside? If you’re a Central Florida resident, you know this is par for the course. 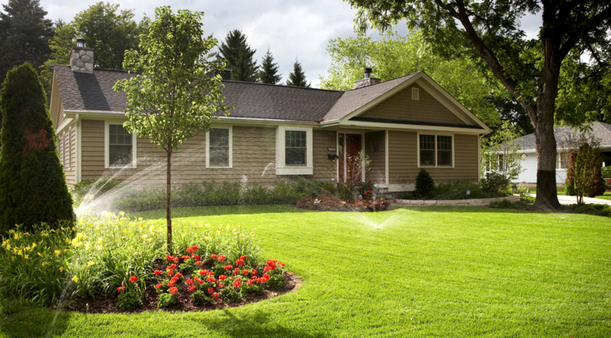 You also probably know that your irrigation sprinkler system is about to flex some serious muscle moving into hotter weather. Here are some tips for keeping your water bill in check while it heats up outside. Whether you pay a professional (cough, Total Sprinkler and Lighting, cough) or check the system yourself, a routine maintenance inspection will help identify any weak spots. This helps to keep small repairs from turning into big jobs. Since the irrigation system is pressurized and powered by water, even the smallest leaking sprinkler or minute hairline crack in PVC piping can quickly add up to excessive water loss. Florida weather is characterized by unruly downpours. Since these torrents of rain often happen willy-nilly, make the smart choice and invest in a rain sensor. We did a great post on the benefits and internal workings of rain sensors for your irrigation system, but simply put, they act as the guardian against overwatering. Don’t get caught watching your sprinkler system cycle in the middle of a monsoon. The irrigation industry has turned its focus to water conservation and manufacturers are responding by building new controllers that monitor weather data to ultimately reduce water use in commercial and residential settings. Controllers like the Hunter Hydrawise use local weather readings and history to provide the right amount of water for your landscape. They’re WiFi capable and can potentially save up to 50% on your water bill.